On January 12, 1959 Billboard’s #1 Pop single was David Seville’s “The Chipmunk Song.” “Lonely Teardrops” by Jackie Wilson was the Billboard #1 R & B single. 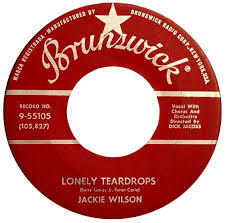 Berry Gordy Jr., Gwendolyn Gordy (Berry’s sister) and Roquel “Billy” Davis wrote “Lonely Teardrops” which the Brunswick label released in 1958. Berry Gordy, Jr was born in Detroit on November 28, 1929. He always loved music and writing songs, but his early life had many stops before he founded Motown Records. Dropping out of high school, briefly becoming a successful boxer, a stint in the Army where he received his GED, opening a record store that eventually closed, and working on a Lincoln-Mercury plant assembly line whose monotony at least gave him time to mentally compose songs. At 27, Barry Gordy followed his dream. 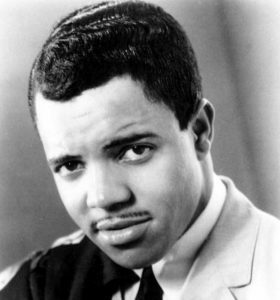 In 1957 he helped write “Reet Petite” Jackie Wilson’s first hit. In 1958, after helping to write a few other singles, he received a royalty check of $3.19. He borrowed $800 loan from his family’s saving’s to open his own record company. Gordy began Tamla Records in Detroit on January 12, 1959. Berry had wanted to call the label Tammy, after the 1958 hit record of that name by Debbie Reynolds, but changed it to Tamla after learning that another record company had already taken it. On April 14, 1960, he incorporated as Motown Record Corporation. Motown became one of the most famous recording companies in music history. In its first decade alone, it would have 79 Billboard top ten singles. Tamla’s first single was Marv Johnson’s “Come To Me,” co-written by Gordy. 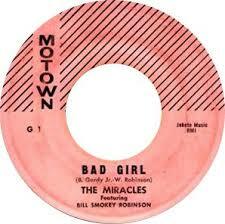 Motown label’s first release was the Miracle’s “Bad Girl.” It would be the Miracles, with it star singer Smoky Robinson, that put Gordy and Motown on the map. Robinson also became the vice president of the company. Part of Motown’s lore is it’s recording studio. Also in 1959, Gordy bought 2648 West Grand Boulevard in Detroit. The building had been a photo studio. 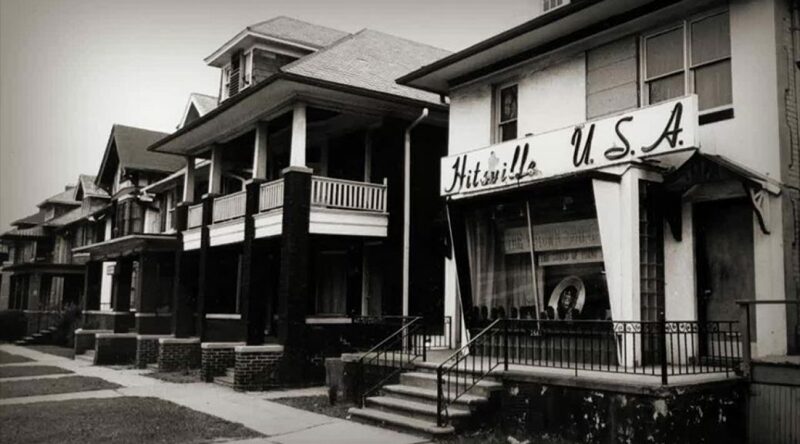 Gordy renamed it “Hitsville U.S.A.” A clever name, to be sure, but one that lived up to its name. Tamla’s first #1 hit was “Please Mr. Postman,” by the Marvelettes. It topped the Hot 100 on Dec. 11, 1961. On May 16, 1964 the Motown Records label celebrated its first No. 1 single on the Billboard Hot 100 with Mary Wells’ “My Guy.” Smokey Robinson wrote and produced it. The Funk Brothers is another part of that lore, the back up band behind most of those hits. Early members included bandleader Joe Hunter and Earl Van Dyke (piano and organ); Clarence Isabell (double bass); James Jamerson (bass guitar and double bass); Benny “Papa Zita” Benjamin and Richard “Pistol” Allen (drums); Paul Riser (trombone); Robert White, Eddie Willis, and Joe Messina (guitar); Jack Ashford (tambourine, percussion, vibraphone, marimba); Jack Brokensha (vibraphone, marimba); and Eddie “Bongo” Brown (percussion). When Motown moved to Los Angeles in 1972, the members of the Funk Brothers did not move with it. Motown and Gordy’s story of success sadly parallels many success stories whose internal Sturm und Drang led to artists leaving the label for greater freedom despite Gordy’s original guidance to their successes. The list of names associated with Motown’s first decade alone is astounding. In 1992, Hitsville USA, The Motown Singles Collection, 1959 – 1971 was released. It consists of four discs, each covering a few of those thirteen years. There are over 100 songs on those discs without a filler among them.